As is often the case in Hollywood, less is usually more. After spending some time as an air marshal in “Non Stop” and a PI in “A Walk Among the Tombstones”, Liam Neeson returns to the franchise that breathed new life into his acting career. The first “Taken” film was an instant classic about a father trying to find his daughter after she’s abducted in Paris. 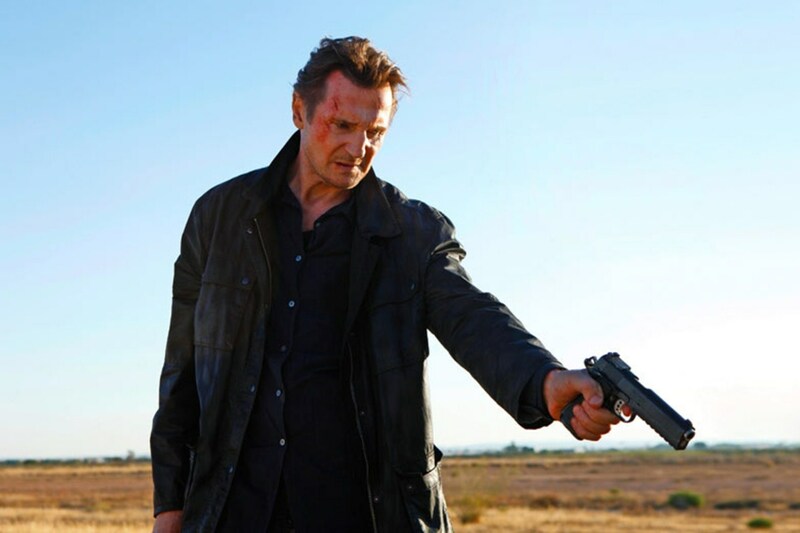 The regrettable sequel dealt with similar themes as Bryan Mills (Neeson) and his family are once again endangered by the family of the first film’s villains. This time around Mills is on the run in the US after he is framed for the murder of his ex-wife (Famke Janssen). What made the first “Taken” film such a hit was that it was a revenge film where a father is essentially tearing apart Paris to find his daughter and make her captors pay. A man with “a particular set of skills” is going after drug smugglers/human traffickers with a righteous cause the audience can all support? What’s not to like? Of course the second film tried to make the same formula but it was all watered down with a silly script and a terrible director. So how did they try to improve this third outing? By getting the same writers to write an even sillier script and bringing back that same director. French director Olivier Megaton, whose best film is probably “Transporter 3”, returns to deliver choppy action sequences that are edited too quickly and too zoomed in to really enjoy. It’s understandable that measures have to be taken to make Neeson look like more of a killer at his age, but little effort went into making any of the sequences more than mildly entertaining. The newest addition to the cast for this latest outing is Forest Whitaker, who plays the inspector trying to hunt Mills down. His role here is very similar to the one he played in Arnold Schwarzenegger’s “The Last Stand”, a cop who mostly barks orders or talks on the phone with the characters who are actually advancing the plot. Dougray Scott also joins the cast to replace Xander Berkeley as Lenore’s current husband, Stuart. While the film is pretty easy to pick apart, the main thing that keeps it from working is that Mills is no longer running across Europe like a one-man wrecking crew, killing or torturing everyone in his way. Since he is dealing with the LAPD in this film, almost every fight scene is just him throwing those magic knockout punches on two dudes then calmly walking away. For those of you who like stats, Mills kills 5 guys in this film. That’s less than 1/6 the number of people he took out in the first film. There are also zero tough guy lines in this film. Half the fun of the first film was hearing Liam Neeson deliver this speech (I just got chills listening to it for the millionth time). Nothing like that here. For fear of sounding like a broken record, let me just sum up that this film is nowhere near as good as the first film and really doesn’t even match up to the sequel. Let’s hope that Bryan Mills either stays retired or at least gets a new director for his next outing.